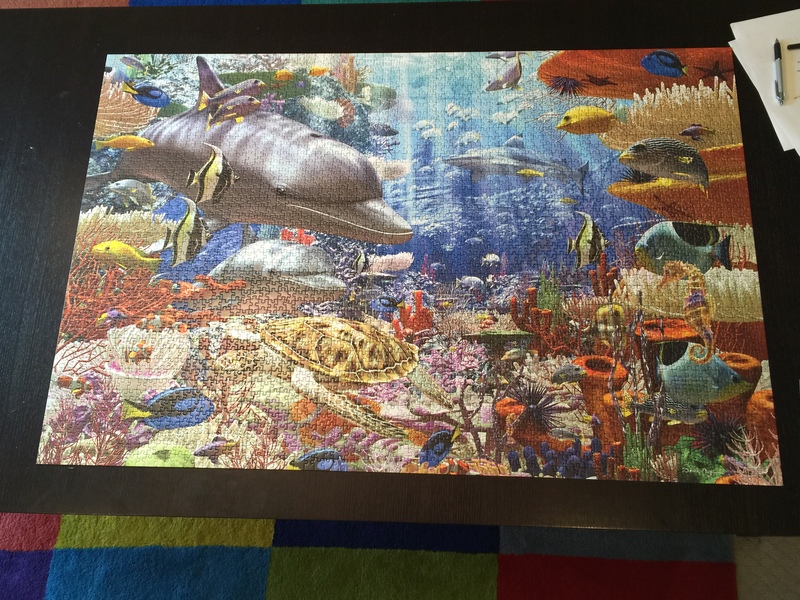 We finished a 3000 piece puzzle. I tried to quit several times, but my wife insisted that we finish. The hardest and last part were gray dolphins, and the blue water section. BK put in the last piece. Doing puzzles is a throw back to my childhood. 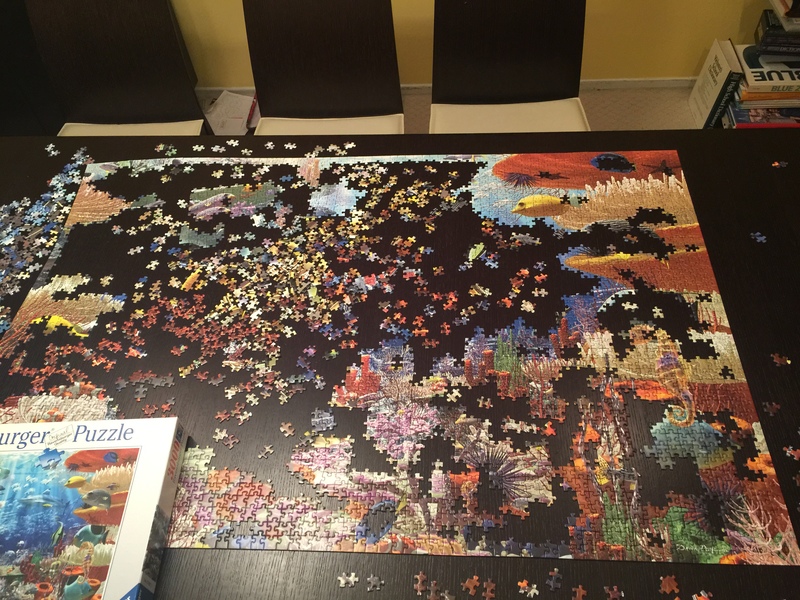 I would do puzzles with my mom during the summer. 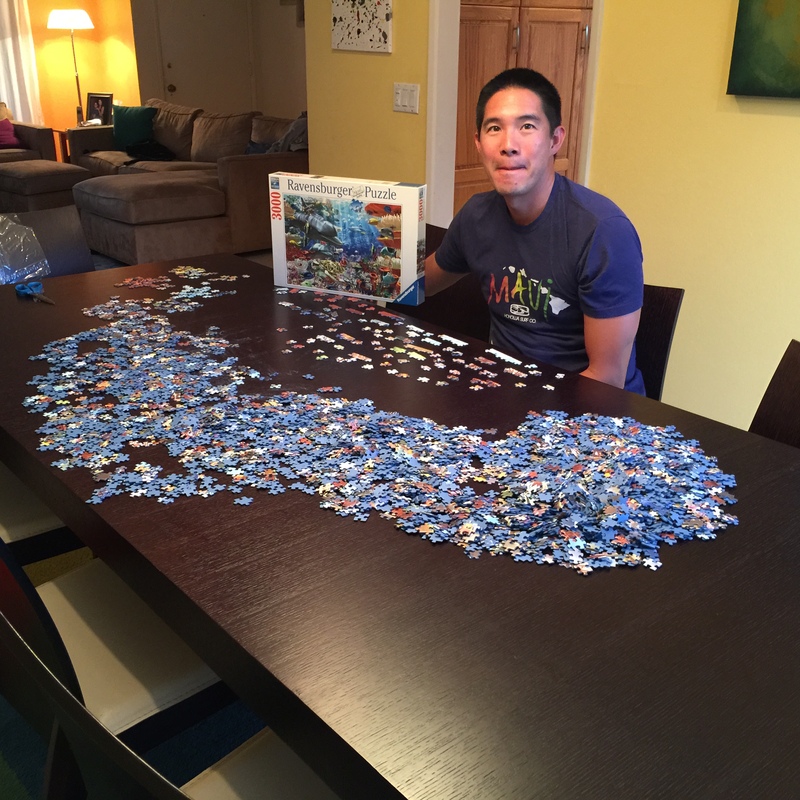 We bought this puzzle while on a mini-vacation with my mom and dad. It was on super sale, ~$5. High quality Rothelsberger (sp?) brand. You know it’s a quality puzzle when the pieces fit or don’t fit and mashing them together doesn’t work. Anyway, what do you do with a puzzle when you’re done. Chop it up and throw it back in the box? The sense of accomplishment is felt, then wears off.